Our team of qualified and highly experienced, Gas Safe heating engineers in Edinburgh and West Lothian offer an expert LPG boiler installation service to customers throughout East and Central Scotland who’re looking for safe and reliable LPG boiler installation. We offer LPG boiler installations that will last, coming with a quality guarantee and follow-up service for your peace of mind. You should get your LPG boiler and other gas appliances serviced regularly to make sure they’re working properly. Our servicing costs start from as little as £55. A faulty LPG boiler wastes money on energy and could start leaking poisonous carbon monoxide. Because it’s colourless and scentless, it’s hard to tell if one of your appliances starts leaking carbon monoxide – so you should get them serviced by one of our fully qualified Gas Safe Registered engineers, once a year. Your annual LPG boiler service also preserves any manufacturer’s warranty that comes with your newly installed or existing boiler. Your warranty will be invalidated without it, leading to costly and unnecessary repair bills during your warranty period. Did you know that the cost of providing heating and hot water accounts for around 60% of your annual energy bills? On average LPG boilers are, on average, £900 cheaper than buying a new or replacement oil boiler. They're smaller in size in comparison to oil boilers, giving you more flexibility on where the LPG boiler can be installed. Modern LPG boilers are highly efficient, using condensing models significant fuel efficiencies. LPG boilers enable you to control your heating with just the press of a button and are compatible with many thermostatic controls, helping you save money. LPG cylinders are suitable for use in many commercial premises, including restaurants, hotels, cafe’s and mobile catering units. They’re also popular as gas canister applications for vans, static caravans, motorhomes and mobile catering units. It’s important that all LPG appliances are checked at least once a year. 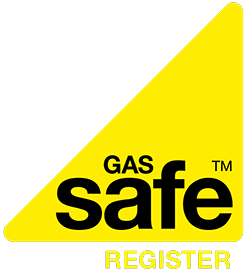 It’s the responsibility of the owner to obtain a Gas Safety Certificate (GSC) and for it to be renewed annually. Our commercial catering repair and installation service is second to none. Taking care of commercial premises throughout Edinburgh and the Lothians. Whether you need bottled or tanked LPG installations or gas safety checks, don't worry, Hometech has expert knowledge and our fully qualified Gas Safe Registered engineers have it all covered for you. Liquid Petroleum Gas (LPG) has been used as an alternative to mains gas for well over 60 years. It’s popular in hundreds of thousands of UK homes, due to its convenience, safety, flexibility and the fact that it’s environmentally friendly. Designed as a safe and more cost effective alternative to regular gas central heating or oil-burning boilers, LPG is safely delivered through pipes, straight into your home’s heating systems. LPG traditionally works under a ‘wet’ heating system, meaning your LPG boiler heats water then transfers the heat to your central heating and taps.